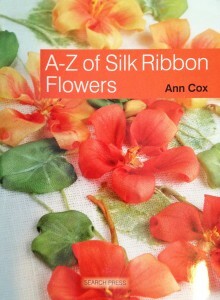 If you enjoy silk ribbon embroidery and specifically want to learn how to create flowers, this is the book for you. 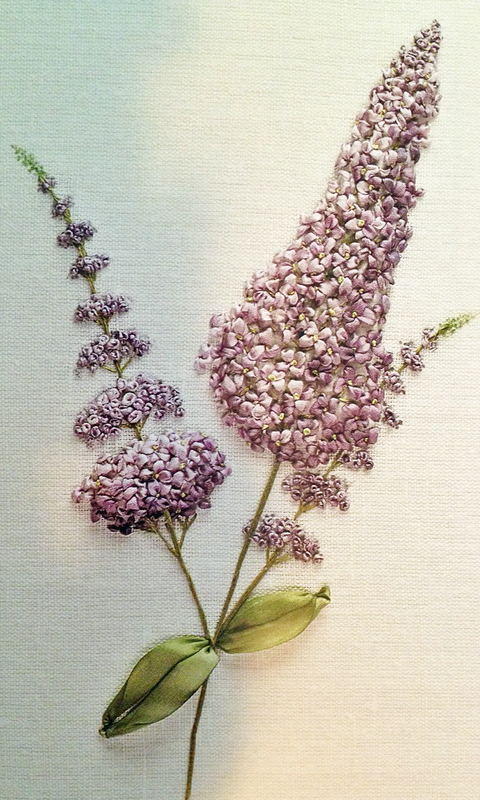 It teaches you the basic stitches and then demonstrates how to embroider thirty-two different kinds of flowers, including asters, hydrangeas, irises, orchids, roses, pansies, and wisteria. 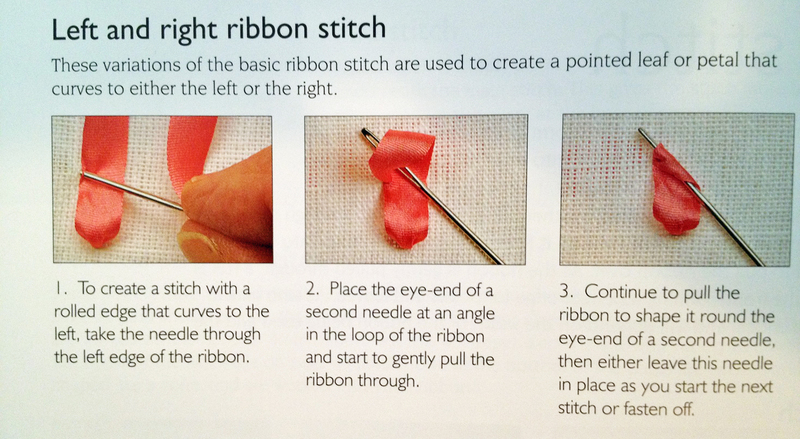 The book throws in a few extras, like how to paint your ribbons and background fabric for special effect. 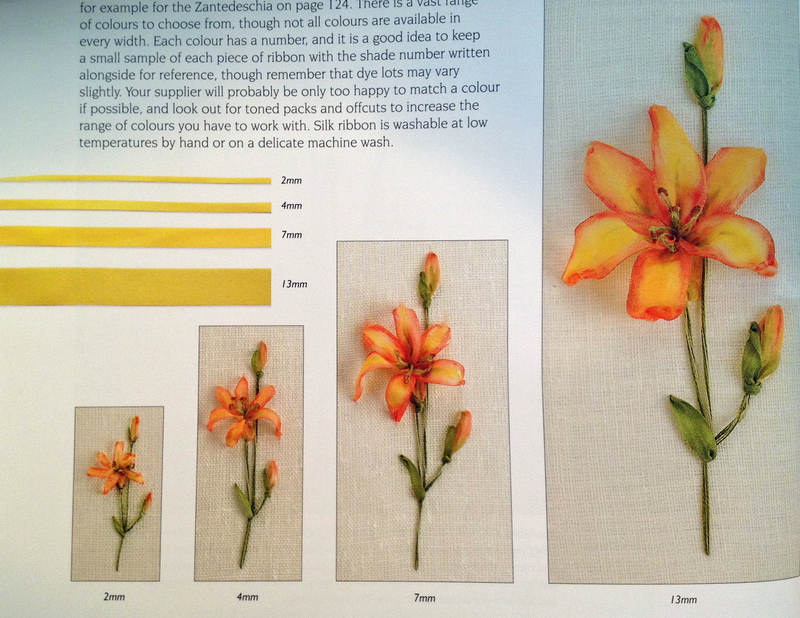 It even shows the astonishing difference ribbon size can make, demonstrating the exact same flowers completed with different sized ribbons. The flowers are arranged alphabetically, so you can easily find what you’re looking for. Each section has closeup photos, along with a diagram of the sample design, and a list of the sizes and colors of ribbon used, in case you want to replicate the exact design. It takes you through the process step by step, explaining how to embroider stems, flowers, buds, and leaves. 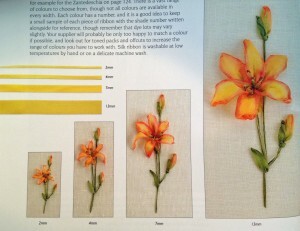 My main complaint is that many of the flowers are not ones I would choose to embroider. Instead of such a wide variety of unusual flowers, I would have preferred more variation of popular flowers, such as roses. For instance, side views, buds, and so forth. Don’t get me wrong, the flowers included are gorgeous! I just didn’t find what I needed. 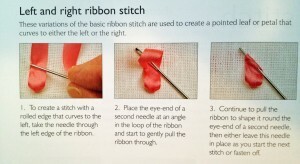 If you want to learn ribbon embroidery and you like diving in headfirst, this is a good place to start. Be aware that it doesn’t give a broad overview of the basics. It only teaches the few stitches you’ll need to complete the projects in the book. To learn more, you’ll need to look elsewhere. Have you embroidered any of the flowers in this book? How did they turn out? 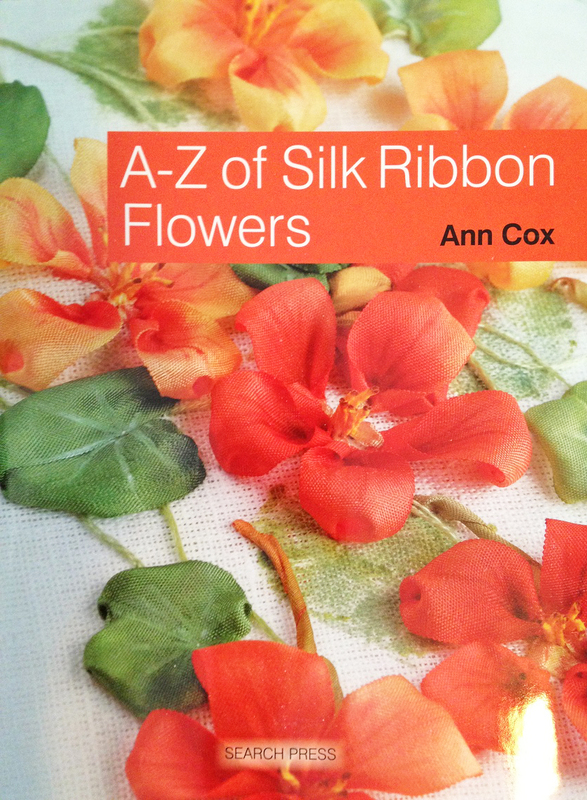 Do you feel the book does a good job at teaching silk ribbon embroidery? 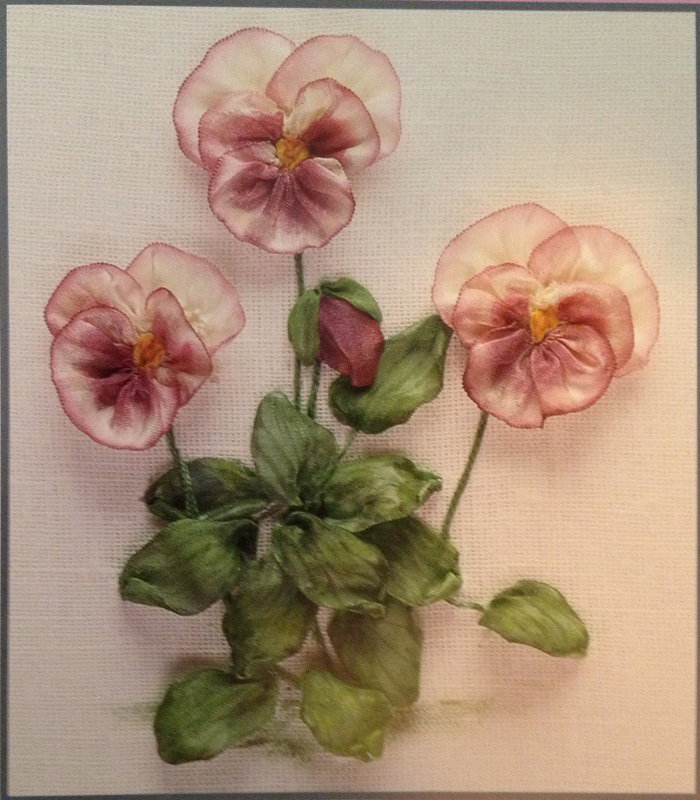 This entry was posted in Thursday's Book Reviews and tagged Book Review, Embellishment, Thursday. Bookmark the permalink.